I’ve listened to every one of the more than 300 Longform podcasts, those interviews with nonfiction writers that the Longform site has been running for the past six years. 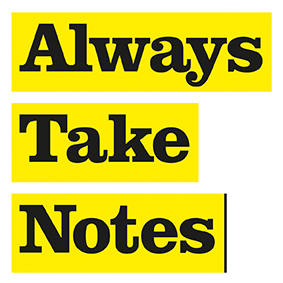 More recently, a British variation, Always Take Notes (Always Take Notes podcast) has materialized. Co-hosts Simon Akam and Eleanor Halls (or Kassia St. Clair) have candid conversations with journalists, editors, publishers, novelists, and agents about their work and career paths. Editors explain what makes a great pitch and writers talk about pitching newspapers and magazines; publishers talk about how they find and develop great books and literary agents reveal how they negotiate the best deal for their writers. Each interview begins with the guest being asked how she or he got into the business and unfolds from there. It started by interviewing Jonathan Beckman, deputy editor of 1843, The Economist’s lifestyle & culture magazine (Jonathan Beckman). Some of the best I’ve listened to (often more than once) include Lionel Barber, editor of The Financial Times (Lionel Barber); Louisa Joyner, editorial director of Faber & Faber (Louisa Joyner); Oliver Franklin-Wallis, commissioning editor at British Wired (Oliver Franklin-Wallis); Jonathan Shanin, editor of The Guardian’s Long Reads (Jonathan Shanin); Sam Knight, a British writer for The Guardian and The New Yorker (Sam Knight); Clare Conville, co-founder of literary agency C+W (Clare Conville); and Joelle Owusu, editor of Unbound, the crowd-funding publisher that is shaking up the industry in the UK (JoelleOwusu). For writers and editors, this kind of stuff is addictive.